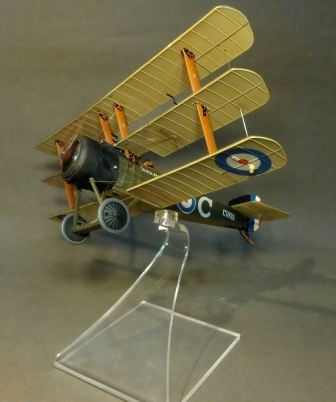 and manufactured by the Sopwith Aviation Company during the First World War. It was the first military triplane to see operational service. The Triplane joined Royal Naval Air Service squadrons in early 1917 and was immediately successful. active service as Sopwith Camels arrived in the latter half of 1917. The Triplane's combat debut was highly successful. though the Triplane was slower in a dive. 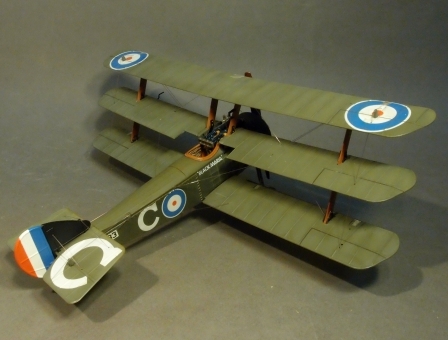 resulting in the successful Fokker DR1. Pilots nicknamed the aircraft the Tripehound or simply the Tripe. 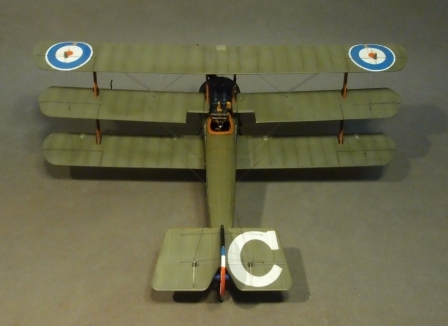 which was one of only six Triplanes armed with twin Vickers guns. better known as "Black Flight." This all-Canadian flight was commanded by the ace Raymond Collishaw. were distinguishable by their black-painted fins and cowlings. Black Flight claimed 87 German aircraft in three months while equipped with the Triplane. making him the top Triplane ace. the Triplane's combat career was comparatively brief. the Triplane proved difficult to repair. The fuel and oil tanks were inaccessible without substantial disassembly of the wings and fuselage. Even relatively minor repairs had to be made at rear echelon repair depots. and No. 1 Naval Squadron's complement was reduced from 18 to 15 aircraft. The Triplane also gained a reputation for structural weakness because the wings sometimes collapsed in steep dives. This defect was attributed to the use of light gauge bracing wires in the 46 aircraft built by subcontractor Clayton & Shuttleworth. Another drawback of the Triplane was its light armament. most Triplanes were armed with a single synchronised Vickers machine gun. Efforts to fit twin guns to the Triplane met with mixed results. 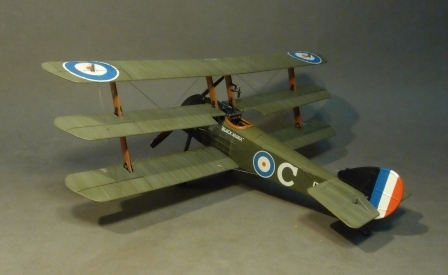 Clayton & Shuttleworth built six experimental Triplanes with twin guns.